Midnight Divide - "Dichotomy EP"
You know that feeling when you think you are nearly reaching the end of the summer and you would like it to last it a little bit longer. 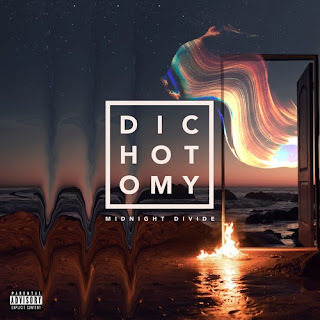 Well I am experiencing exactly the same feeling with Dichotomy the 4 track EP from Midnight Divide an intriguing and refreshing alt rock combo from LA. Fireline follows and provides a more atmospheric environment that gives Austen, the lead singer, a welcome space to land a voice covering a wide range of notes. I got to warn you guys, this track is a bit of an earworm. The subtle arrangements and backing vocals coupled with some smart guitar riffs are lethal. 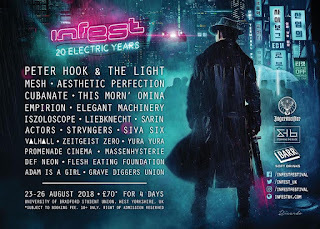 Just as you are about to recover from having listened to Fireline 20 times back to back you jump on Animal Eyes, an industrial alternative pop rock indie anthem - if such a thing does exist. Well, you won't have too much time to think about it as you take another massive uppercut of creativity and musicianship with that track. A mid tempo gem. I find that Talking, the last song, is simply beautiful. An humble track full of sensitivity I was thinking. There was some 80’s indie feeling to it but maybe that is just me. Anyway, those guys can write, produce and play some really great uncomplicated music. If only they could have added another 10 tracks to the EP!!! Wait a second, that would not be an EP then? Overall: In my top 10 bands to watch! 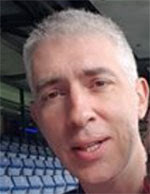 Live Test: Can you please play in Dublin?